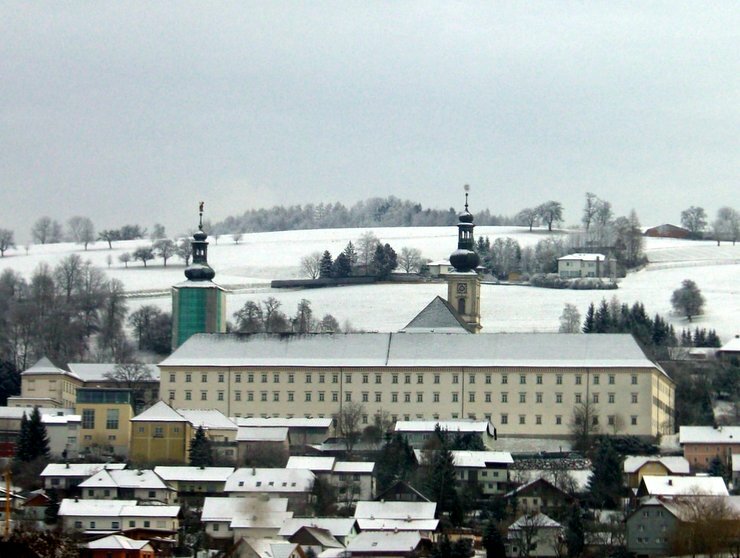 Photo of Schlierbach Abbey taken during a train ride from Graz to Linz. Some months later I had the chance to visit the famous cheese factory of the abbey. This entry was posted in Abbeys and tagged Austria, Schlierbach, Upper Austria by Travelwriticus. Bookmark the permalink.